Superdry men's photographic volley swim shorts. This classic pair of swim shorts feature a drawstring waist, two front pockets and one zip fastened back pocket. 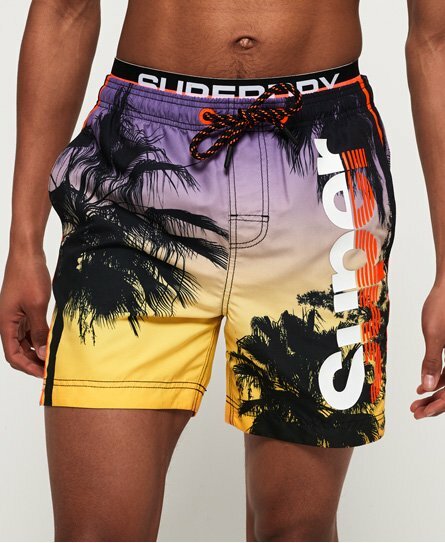 The shorts also feature a mesh insert and double layer waistband with Superdry branding. The swim shorts are completed with a Superdry logo design wrapping around one leg.